﻿ children’s book pick: wiggle. So goes the latest favorite children’s book at our house. Not to be confused with a TV show by a similar name (which, don’t hate me, is forbidden in our home!). 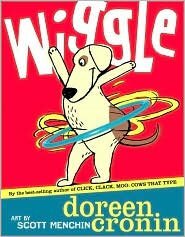 Wiggle, by Doreen Cronin (who also penned Click Clack Moo) is just delightful. 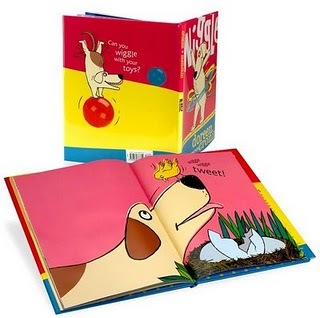 Rhyming and silly with fun illustrations by Scott Menchin, it’s perfect for wee ones. And we don’t even mind reading it over and over (and over again) at bedtime with our toddler. He’s crazy about it and by this time can “read” it to himself, having memorized it nearly word for word. We read it that often. We also love this book around these parts. Great recommendation.